Comfortably accommodating 4 adults this vehicle also has the added feature of the slide out panel in the kitchen / living area, providing over 30% more living space. 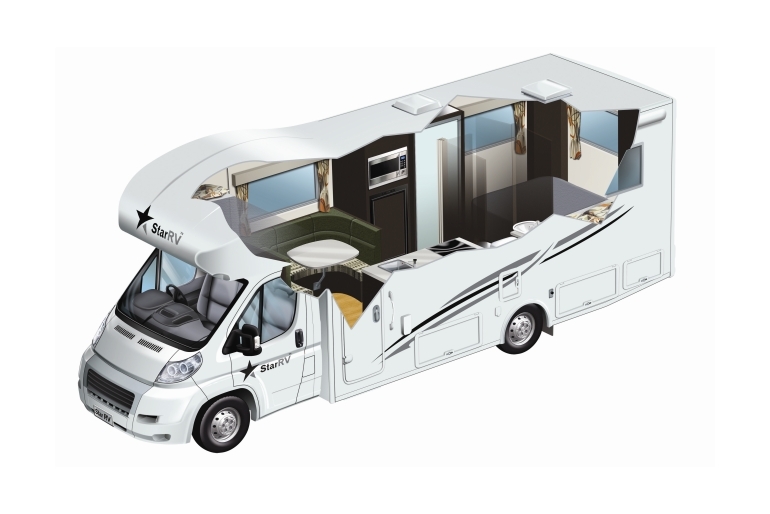 This vehicle has large beds and the largest fridge/freezer of Star RV's fleet plus the 3 burner gas stove makes self-catering easy. Please Note: All vehicle specifications, contents & layouts are subject to change without notice & may vary due to modifications and/or upgrades. 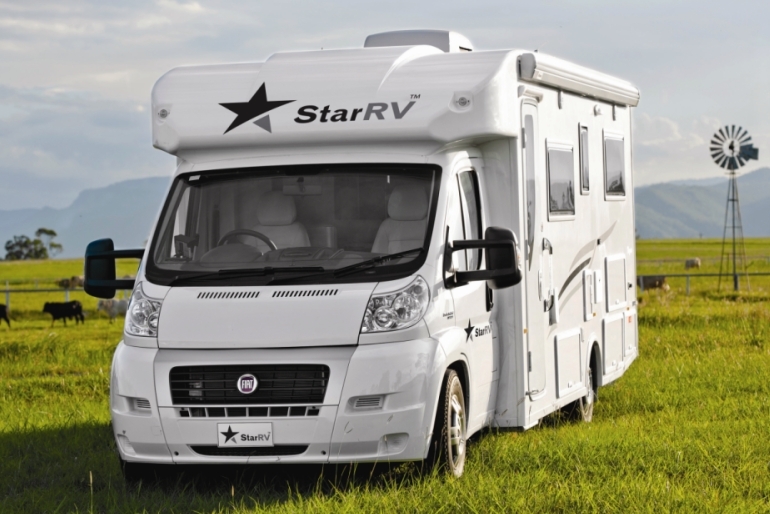 Star RV cannot be held liable for any such variance.